MOST NIGERIAN soccer fans can’t be seriously bothered about the Super Eagles last qualifying game for the 2018 FIFA World Cup finals because Gernot Rohr’s boys have already secured their visa to Russia. Therefore, it won’t be a surprise if many choose to even not watch the game against Algeria this weekend in Algiers because it’s an inconsequential dead-rubber. But it was a completely different scenario at the same venue and against the same opponents some 29 years ago when Nigeria visited in search of her first ever World Cup ticket. That match ended in a tense 1-1 draw and the Eagles qualified for their first World Cup appearance at USA ’94. Recently, nostalgic older readers of Soccertalk have been asking me to convert my archives into a digital form so that they could access it and relive (on demand) the ‘good, old days’ of the 1990s as recorded by yours truly. The readers remind me of some timeless pieces published by COMPLETE FOOTBALL magazine: Road to USA, We Must Qualify; Allahu Akbar, Nigeria Back On Course; 90 Minutes To Glory; Hurray, USA ’94 Here We Come; and many more. It could be a difficult task writing about an event the like of which had never happened before. Particularly if that event is of such a magnitude as Nigeria’s qualification for the World Cup for the very first time, then your hands are full. 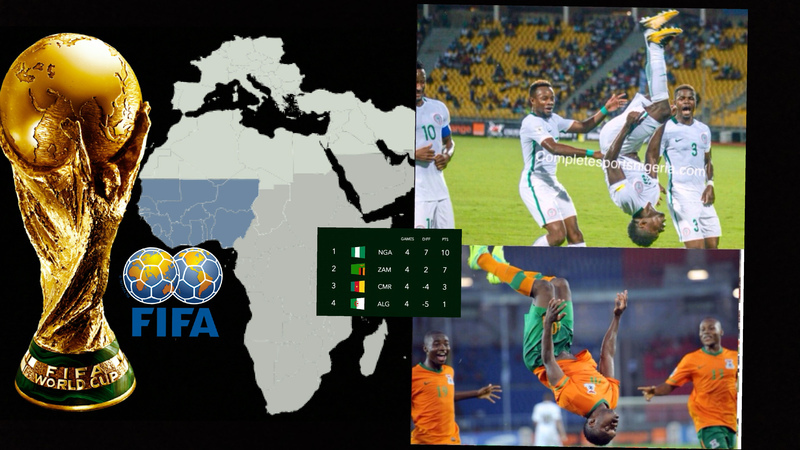 Various headlines would ring in your head: Eagles Make World Cup History; Nigeria through to USA; Qualification At Last! ; and many more. So would adjectives jostle for use: Remarkable. Unprecedented. Historic. Glorious. Momentous Record-breaking and many more. All are applicable, they tell the story, yet none would seem good enough. Each would sound to you like an understatement of the fact. The fact is Nigeria’s qualification for the FIFA World Cup for the very first time. Because the achievement is unprecedented, you would feel the only way to do justice is to use words, expressions, headlines that are equally unprecedented, practically out of this world. Of course, you end up writing nothing! For even though Nigeria had never qualified for the World Cup finals, there are no words in the dictionary that have never been used before. NIGERIA…. Nigeria, HAVE…. Have, QUALIFIED…. Qualified, FOR THE….. for the, WORLD…. world, CUP…. Cup, FOR…for THE….the, V-E-R-Y… v-e-r-y. FIRST…. First, TIME….. time! – From the unpublished “Thoughts of a Reporter” on the Night of History. (July 5 Stadium, Algiers. Friday October 8, 1993). NIGERIA’S moment of World Cup glory as recorded by the digital stop-watch of this reporter was exactly 8:23:43pm twenty-three minutes, forty-three seconds past the hour of eight ‘O’ clock post meridian on the Day of History, Friday 8 October, 1993. FIFA-Graded referee Lim Kee Chong from Mauritius took a glance at the time piece strapped firmly to his left wrist as he ran to keep pace with the dying moments of the final World Cup qualifier between Algeria and Nigeria at the July 5 Stadium in Algiers. Fleeting seconds later, Chong’s steady run would slow down into a walk and the walk into a halt. The referee mouthed his whistle, raised his two hands and pointed to the heavens. “Phew, phew, phew,” went the shrill noise of the whistle and history was made: Nigeria had qualified for the glamorous FIFA World Cup for the very first time! Time check: 8:23:43pm. This hour, this minute and this second will forever remain the moment of World Cup glory for Nigerian football. Chong might have made three bursts on his whistle to signal the end of the Algeria – Nigeria tie, but only the first one was heard by the scanty crowd at the magnificent July 5 Stadium in Algiers. Long before Chong called a halt to proceedings, the Nigerian players, team handlers and backers had longed for that home whistle with Dutch technical adviser Clemens Westerhof leading the band of Nigerian emergency time-keepers on the night. “Hey referee, it is finished now. It is all over now. Look at your watch. Don’t spoil everything for us now. Why are you doing this? It is finished now. Let us go now…” The Dutchman was panting. And so were his crew, and so were his reserve players. Everyone was watching wide-eyed, expectant, tensed up. On the pitch, the Nigerian players were in a worse condition. After opening scoring in the first half through right winger George Finidi, all seemed to be going well for them until the Algerians equalized through hit-man Zerrouki Sid Ahmed with 20 minutes remaining. Those 20 minutes would probably remain the most nightmarish in the professional careers of the Nigerian players. They were aware that a draw from this game would be enough to realize their country’s World Cup dream. With scores tied at 1-1 in the 70th minute, therefore, they simply wished the game would end right then. But of course, it didn’t. Instead, the opponents turned on the heat full blast looking for the winner. And, all of a sudden, the home fans who had booed their own team all-match long made an about-face and started encouraging them to go for the kill. It was 20 minutes of hell for the Super-Eagles. Team skipper Stephen Keshi’s trademark is the ability to organize his defence and assign roles to peers. This night, he needed all his ingenuity to hold his men together as the faster, sleeker and more cohesive opponents attacked in droves. Several close calls, corner-kick after corner kick, rampaging solos, stinging shots, pushes and shoves. The Algerians threw every brick at the embattled Nigerian boys. Those last 20 minutes were tough for the Super Eagles. With pressure mounting on the field and tension heightening on the bench, the impact was bound to reflect on the Nigerians in the crowd at July 5. For them, anxiety reached boiling point. “I must confess that I was tensed up. But when I considered the wife of the NSC Chairman, Chief Alex Akinyele who was sitting to my right in the state box, I had to brace up like a man. Ditto among the Nigeria Football Supporters Club who had arrived the Stadium only about an hour to kick-off. Earlier on in the game, their drumming was loud and they sang in very high pitch. And when the Eagles scored, they drummed even louder and sang even louder. 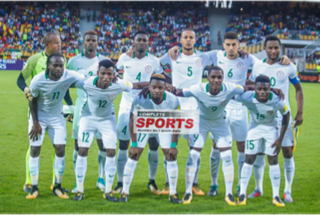 When the Algerians equalized and pressed forward in search of a winner in the final 20 minutes, however, some of the Nigerian drummers could hardly lift their sticks, while many of the singers opened their mouths but no songs came forth. The anxiety reached even the journalists from Nigeria at the press area of the Stadium. “Why are these boys now playing like this,” one muttered when the opponents’ pressure reached the peak. “It doesn’t matter now how they play as long as they qualify” another fired back. Meanwhile, a couple of desks away, an Algerian journalist who had pretended to be indifferent about the possible outcome of the game because his country was already out of contention for the World Cup was betraying his “hidden agenda.” Each time his team swarmed on the Nigeria defence during the last 20 minutes, he would shout goal!, goal!, goal! to further heighten the anxiety of his Nigerian colleagues. It was amidst this din of tension and pressure for the Nigerians that centre referee Lim Kee Chong finally ruled that the game had gone its full course and sounded the home whistle. The first burst was heard alright, but not the second nor the third which the referee still dutifully made. “Heey!” the spontaneous jubilation of the Nigerians at July 5 responded to Chong’s first burst of the whistle, drowning the second and the third. Hard, steely and tensed-up faces of handlers and backers relaxed into flashy, buoyant and relieved looks as everyone bared their teeth as though they were in an audition for a toothpaste advertisement. The sparks of emotion among Nigerians went the full course, from the extremely uneasy to the extremely joyous. It is not everyday that a country qualifies for the World Cup finals. 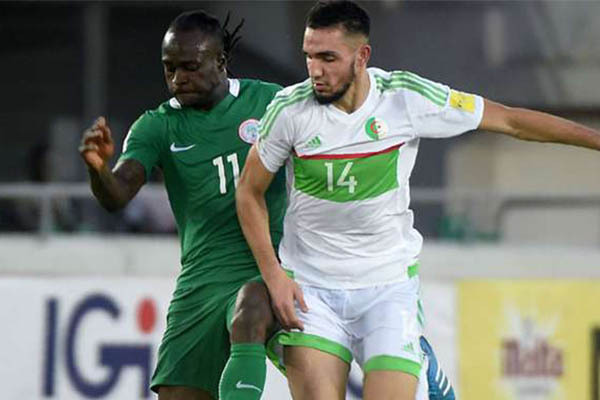 Algeria 1, Nigeria 1 and both sides ended the historic game of October 8 on a balanced keel. A goal apiece and a point apiece meant both teams had been equal on the night-goals wise, at least. But while Algeria’s one point couldn’t do them any good again as far as the World Cup was concerned, Nigeria’s share of the spoils gave her a place in history: a World Cup ticket. When referee Chong’s home whistle went, it was celebration galore among the Nigerians at July 5. Skipper Stephen Keshi and left full-back Ben Iroha are locked in embrace and both are rolling on the pitch like Japanese Sumo wrestlers. Elsewhere, strikers Rashidi Yekini and Daniel Amokachi are not rolling on the turf, but their eyes are glittering, arms raised, fists clamed. Elsewhere still, substitute full-back Nduka Ugbade is running about like a sheep without shepherd. The former U-17 World Cup champion is crying out of joy, and he is obviously lacking in direction. Luckily, he runs into midfielder Thompson Oliha who also is just running and running with no apparent destination. “Oliha, Oliha, we have done it,” Ugbade sobs as both players run into each other’s arms. Elsewhere still, substitute midfielder Mutiu Adepoju can be seen running towards his handlers “Aaah, Aaah,” he keeps shouting as he runs along. The boy is mad with joy. 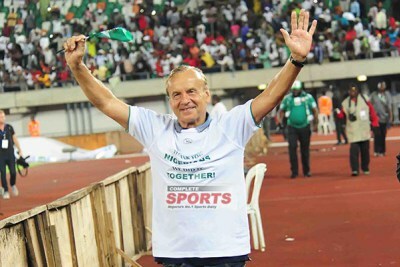 Back on the sidelines, Nigeria’s team doctor Akinkunmi Amao is the first to embrace Westerhof at the whistle. Then comes assistant coach Ismaila Lulu and the players on the sub bench – Precious Monye, substituted Austin Eguavoen, et al. Defender Isaac Semitoje is the first among the players on the field to reach the sidelines. He embraces the coach and gives way to the others as pressmen encircle Westerhof to record his reaction for history. On the terraces the Nigerian Supporters Club seem bent on beating their drums into disrepair. “O se, O se o, O se Baba” (Thank you, thank you Father), they are now singing, hopping from one step to the other, and beckoning on the players to come and celebrate with them. Striker Daniel Amokachi is the first to respond. He runs to the fence and collects a Nigerian flag from the supporters. Then he struts off again draping the flag around his body. While the Nigerians celebrate, the Algerian players stand huddled together in the middle of the field, watching in bewilderment. Two times previously in 1982 and 1986, their country had played in the World Cup finals, the first time ironically at Nigeria’s expense. Today, the positions are reversed. “We congratulate Nigeria on their qualification”, the Algerian coach Medhane Ighil says. “But they will have to work very hard to do well at the World Cup,” he offers. Presently, the Nigerian jubilation is beginning to recede. After the initial explosion, the players, officials and supporters are now slowing down to regain their strength. “I don’t know what to say. I just don’t know exactly what to say again,” he tells one journalist who squats besides him prompting him for a comment. Shortly after, everyone is leaving the stadium. The flood lights go off one after the other as the grounds men urge people to move it, it’s time to go home. The Super Eagles retire to their dressing room as the last of the lights inside the main-bowl go off. The Nigerian dream of more than two decades is now a reality: the Eagles have landed a ticket to the Mundial. Culled from COMPLETE FOOTBALL magazine, November 1993 issue, pages 2,3,6 and 7. Russia 2018: The Fun Starts Now! 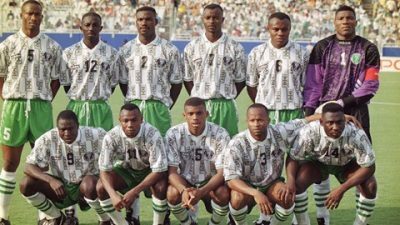 THE FIRST TIME Nigeria qualified for the FIFA World Cup finals in 1993 (ahead of the finals at USA ’94), I was right in the thick of the action. As editor of Complete Football magazine at the time, I travelled extensively with the Super Eagles coached by Clemens Westerhof and captained by the late Stephen Keshi. It was on the eve of our final qualifying game away to Algeria that I coined the nickname “Goalsfather” for the late Rashidi Yekini (which became accepted worldwide) when I interviewed him at the lobby of the Eagles hotel in Algiers. The following day, Friday, October 8, 1993, the Eagles filed out, needing only a draw to book their place at USA ’94. It was a very cold night but our right winger Finidi George soon warmed up the Nigerian contingent in the sparsely-filled stadium with a 20th minute goal. We needed a draw, but now we were heading for a win. Everything was nice and sweet until Algeria’s Ahmed Zerrouki equalized with a header in the 70th minute. Suddenly, the whole atmosphere changed. The home fans who had been cheering the Eagles and booing their own team changed tune. They began whistling for a second goal. Their team responded by attacking in droves and came close several times to grabbing the winner. Those final 20 minutes plus ‘injury time’ were the longest and scariest in my entire journalism career. An Algerian winner, though they had nothing but pride at stake, would have snatched the group’s World Cup ticket from Nigeria and handed it to Cote d’Ivoire instead. Happily, the Eagles held on to the 1-1 draw and made history by qualifying for their first FIFA World Cup. Fast forward 24 years to Saturday, October 7, 2017.. 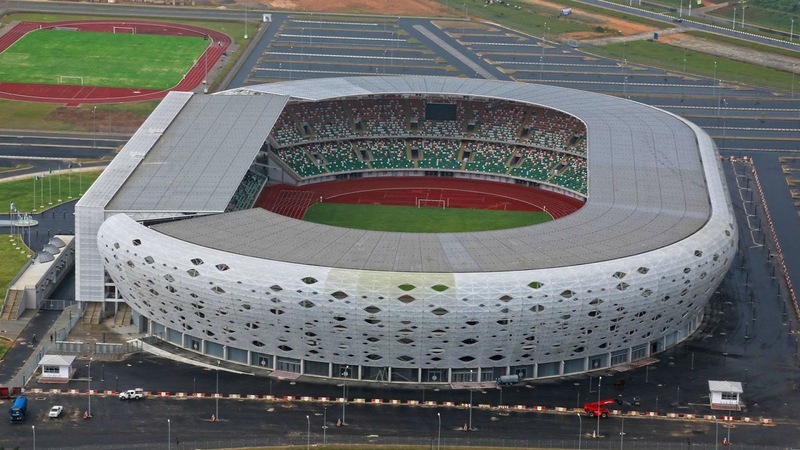 I was not at the Godswill Akpabio Stadium in Uyo when the current Super Eagles coached by Gernot Rohr and captained by John Obi Mikel beat Zambia 1-0 to qualify Nigeria for the Mundial for the sixth time since that historic debut at USA ’94. I watched the game on television but I have heard many commentators and fans talk about the tension that they went through. Tension? What tension? Ask anyone else who was there in Algiers in 1993 and they will tell you the true meaning of tension. I wasn’t in Uyo for the Nigeria-Zambia game for several reasons. One, after nearly 30 years on the job, I have vacated day-to-day reportorial duties to a new generation of brilliant writers at Complete Sports newspaper (the successor to Complete Football magazine) just as the Eagles have shed their old feathers for new ones. Second, I could have still gone to Uyo just for the fun of it but my superstitious side got the better of me. I hadn’t watched any of our previous qualifying games live, and I didn’t want anyone accusing me of bringing “bad luck” to the Eagles should anything go wrong! On a serious note, the main reason I didn’t bother to make the journey to Uyo is that, unlike the suffocating, knife-edge situation that we found ourselves 24 years ago in Algiers, I was confident this time around that the current Eagles would beat Zambia and seal the World Cup ticket with a game to spare. I said so in this column last week, and so it turned out. I wasn’t tensed at all, knowing full well that the game wasn’t our last chance to qualify anyway. I was very relaxed about the Eagles because the team had won my trust with their performances in previous games and I had great confidence in Gernot Rohr’s tactical acumen. My reading of Rohr’s tactics against Zambia is that he combined the virtues of caution and patience, despite Nigeria’s advantages of playing at home and parading the more experienced players. Caution in the sense that early on, the Eagles didn’t try too much to play the ball out of defence. Any mistake doing that could result in conceding possession to the quick Zambians who could take advantage. And if Zambia scored first, the resultant tension and anxiety that would envelope the stadium would have unsettled our boys. Zambia would have subsequently locked up their defence, frustrate our players and probably scored a second goal on a counter-attack. It was crucial for Nigeria to not concede the first goal so we had to be cautious. Caution was complemented by patience. The virtue of patience last Saturday was that the Eagles had to wait till the second half for their goal which came via the boot of super-substitute Alex Iwobi. As the match wore on and the Zambians got desperate for the goal that they needed more than Nigeria, they left spaces at the back which the more experienced Eagles stars eventually exploited. Overall, I give Rohr full credits for a well executed game plan. Zambia may have caused us a few moments of anxiety including putting the ball into our net for a ‘goal’ that was rightly disallowed for offside; and rattling goalkeeper Ikechukwu Ezenwa with an isolated long range shot, but those were nothing close to what the Eagles suffered in 1993. In the end, last Saturday's victory was fully deserved. At the start of these 2018 World Cup qualifiers, regular readers would remember that I predicted in this column that 13 points would guarantee Nigeria a ticket to Russia. I then challenged the Eagles to collect those points before their last game away to Algeria so that we wouldn't have to experience the tension of 1993 all over again. Not only did Gernot Rorh and his boys achieve both objectives, they did it in grand style. Congratulations to all Nigerians. Russia 2018, here we come. SITTING in front of my TV set, I was quite engaged on my Twitter handle, @Mumini_Alao, as the Super Eagles grabbed the ticket to Russia last Saturday. One particular tweet however stood out among the whole lot as it snagged lots of retweets and likes from my followers. For those who missed it, here goes: "Spare a thought for Cameroun and Algeria. I hear that their "friendly match" in Yaoundé ended 2-0 in favour of the Pussycats!" What Next For The Eagles? THE Eagles still have that outstanding game away to Algeria to play. Although it's now an inconsequential dead rubber, my view is that Rorh should use it to commence his preparations for the World Cup finals in earnest. He should field a strong team, although he might tweak the lineup considerably to have a look at some other players staking claims for seats on the plane to Russia. At the time of writing this, there was talk that the Nigeria Football Federation (NFF) was mooting a friendly to be played after the Algeria game. That would be nice. Our target in Russia should be to surpass our previous Round of 16 record at the World Cup which means reaching the quarter final at least. Whether we can achieve that objective will be a function of our luck at the draw holding in Moscow on December 1st; and how well we prepare for the finals. What Next From Complete Sports? 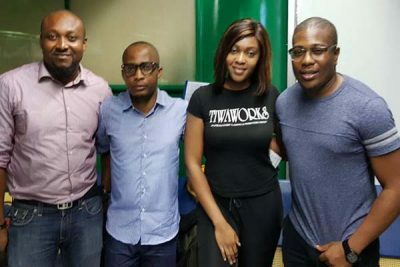 Our combined team of journalists at Complete Sports newspapers, Completesportsnigeria.com website and Complete Sports Studios have had great fun covering the Super Eagles 2018 World Cup campaign so far.. And if the feedback we have received is anything to go by, it is certain that our readers have also enjoyed our coverage tremendously. Particularly for the decisive last three matches against Cameroun (home and away) and Zambia (home), Complete Sports pulled out all the stops to do an unparalleled coverage. Our reporter was in Yaoundé a whole week before the second game against Cameroun, which gave us the edge as the only Nigerian media organization that reported simultaneously from Uyo and Yaoundé during the double header against the Indomitable Lions. For the Zambia match, Complete Sports also was the only Nigerian media in Accra, Ghana to monitor the Chipolopolo's final preparations and publish exclusive on-the-spot expose for the benefit of the Super Eagles. To get the fans involved beyond just watching the games, our Complete Sports Studios camera crew deliberately went on a road trip from Lagos to Uyo for the Zambia game, interviewing people in many towns and cities along the way and uploading the videos on our YouTube channel. Our website also organized Predict and Win competitions where N100,000 cash was on offer for fans who correctly predicted the Eagles results against Cameroun and Zambia. To cap it all, we organized an online Selfie Challenge on social media where more soccer fans won authentic Super Eagles jerseys courtesy of Nike. The enthusiastic responses that we have received for these initiatives have been gratifying. Many of our sports media colleagues saluted our professionalism, the Nigeria Football Federation (NFF) acknowledged our contributions while our readers showed their appreciation. Most older fans actually compared our recent coverage with a similar coverage that we pioneered for the historic USA '94 World Cup campaign when yours truly followed the Super Eagles every step of the way from their training camp in Papendal in Holland all the way to America. Complete Sports is poised for a repeat on the Road to Russia. Watch out as we have more surprises in store for our readers. The World Cup fun has only just started! THE relative ease of the Super Eagles qualification for Russia with a game to spare appears to have muted the celebration by Nigerian soccer fans. The threat posed at the start by our rivals in the Group of Death (Algeria, Cameroun and Zambia) was so comprehensively dealt with that some of us still can't believe it! Maybe that is why our celebration has been rather understated.. However, a look at the reactions in other parts of the world aptly demonstrates the joy and agony that several countries experienced last weekend as the race to Russia reached a climax. Iceland continued their Cinderella run in Europe by qualifying for their first ever World Cup. Traffic came to a standstill in several Egyptian cities as the Pharaohs poured into the streets to celebrate their return to the Mundial after 27 years! Panama in North America declared a public holiday after they qualified for the first time ever at the expense of USA. Argentina heaved a sigh of relief on the last day of South American qualifying after Lionel Messi single-handedly saved them from the humiliation of elimination by scoring a ticket-grabbing hat-trick away to Bolivia. By contrast, it was extreme agony in Ghana after a disallowed goal in the last second of their game away to Uganda confirmed that the Black Stars would miss the train to Russia. War-torn Syria came very close to grabbing a remarkable Asian ticket but a goal in extra time by Australia cut short their joy. 2010 World Cup finalists Holland missed the European play-offs only by a poorer goal difference to Sweden despite beating the Swedes 2-0 last weekend. The United States of America are mourning after a disastrous qualifying campaign ensured they will not be visiting their nuclear rivals! The World Cup race spread a mixture of joy and agony in different parts of the planet last weekend. Nigerians should count ourselves lucky that we are among the happy few. I WASN’T going to write a preview of the Super Eagles World Cup qualifier against Zambia this weekend at the Godswill Akpabio Stadium in Uyo. My thinking was, what is there to analyse when everybody knew already what was going to happen. Oh, who says he/she doesn’t know what is going to happen? You, dear reader? Com’on! Of course, you know what is going to happen. The Super Eagles are going to beat the Zambians and qualify for the 2018 FIFA World Cup Finals. THAT is what is going to happen, in sha Allah! It’s a very long time that I have felt this bullish about our national football team. As recently as late August/early September this year when we faced Cameroon in that dramatic World Cup qualifying double-header, I wasn’t this confident about our team. In fact, I declared the Eagles as the underdogs against the Indomitable Lions only for them to stun everybody with a comprehensive home victory and an impressive away draw. But the situation and the circumstances are different against Zambia. The Eagles cannot hide from the fact that they’re the overwhelming favorites this time around. We all EXPECT them to win! That’s not saying the Zambians will be pushovers, however. Any African team that beats powerhouse Algeria home and away like the Zambians have done deserves respect. But, to be frank, the Eagles are a class above the East Africans. Since coach Gernot Rohr took over, the Eagles have discovered a new spirit and new confidence. If we have great expectations of them now, it is because of the way they have played so far in this World Cup qualifying race. However, one real danger that I fear is complacency. Quite often, the Eagles have pleasantly surprised us when they were written off and have disappointed when expectation was high. There’s always a likelihood of a repeat but, thankfully, I can’t see any signs of that happening against Zambia. I have observed the team closely and read many interviews by Rohr and his players. The message I get is that they all seem very focused on the task at hand. They know that the Zambians are coming for a fight and they are ready for them. A tweet by left back Elderson Ehiejile (@Elderson) in symptomatic: “Only one thing on my mind: #NGAZAM.” It was accompanied by a photograph of the player, looking serious and determined. 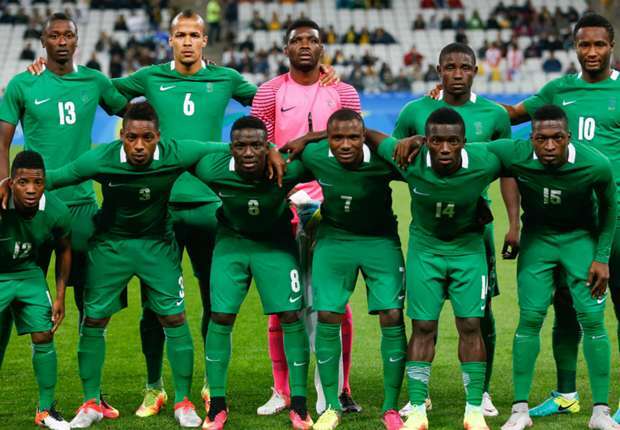 Another possible danger is what Nigerian Olympian athlete Enefiok Udo-Obong describes as the “psychological stress and pressure that all footballers and sportsmen feel when they are on the verge of accomplishment.” Being just one win away from grabbing the ticket to the 2018 FIFA World Cup, the Eagles could suffer from this type of psychological pressure. But I expect them to overcome that with the experience of captain Mikel Obi, Victor Moses and Ogenyi Onazi who have all been to a World Cup before and know how to deal with such situations. So, Nigeria ticks all the right boxes ahead of Zambia. History is on our side as we have recorded more wins against them including beating them 2-1 in Ndola in the first leg of this tie; we lead them by three points and a healthy goal difference in our World Cup qualifying group; we are playing at home; we have the better players who are hungry to secure the World Cup ticket; we have more experience at this level; and we have a coach, Gernot Rohr, who I consider to be our “star player” because of his tactical nous. Nigeria has all the necessary ammunition to silence Zambia’s pre-matchboasts on Saturday. My prayer is for mother luck to also be on our side. See you in Russia 2018! COURTESY of Star Lager who signed on Chelsea Football Club as their latest partners in the elite #StarFootballLeague last week in London, I was in the crowd at Stamford Bridge last Saturday when Manchester City confronted champions Chelsea in what I rate as the best game of the English Premier League so far this season. For me, City were such a joy to watch with their excellent passing and movements. They were so dominant en-route to their 1-0 win that even Chelsea fans admitted that they’d been let off rather lightly as the margin of victory could have been higher. Where I sat in the crowd, I could feel the tense sense of surrender among the home fans. From a Nigerian perspective, I Tweeted my disappointment that Victor Moses was not fielded by Chelsea manager Antonio Conte. But when one of my followers responded that the omission would leave the player fresh for the Eagles game against Zambia, I concurred. #StarFootballLeague is a coalition of football league and club side partners put together by Star to excite their Nigerian customers. Four lucky winners(Ugochukwu Jay Chikezie, Chinedu Jude Mbanefo, Onyedika Nwokedike and Nneamaka Anyanwu) were sponsored on an all expense paid trip to witness the formal signing of the Star-Chelsea partnership and also watch the Chelsea-City game. When I asked the winners about their experiences, they were united in describing it as a "trip of a lifetime." Even for me, it was great fun too. 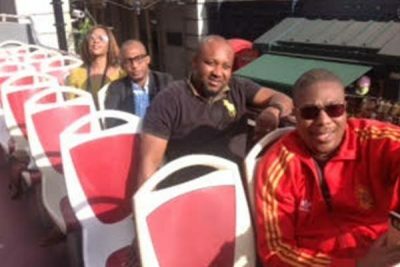 FOUR Nigerian football fans are enjoying a holiday of a lifetime in London courtesy of Star Lager after emerging the lucky winners of an online quiz to predict the premium drink’s next big European club partners. 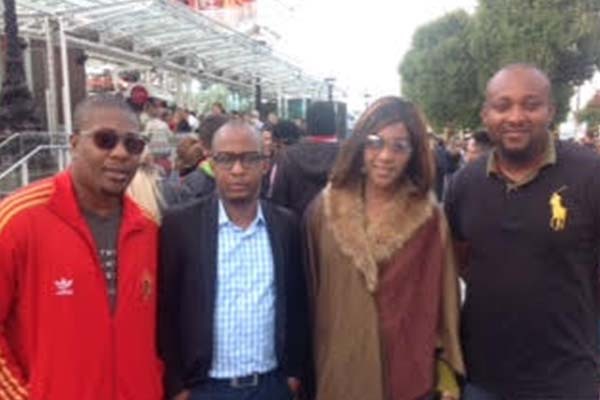 None of the upwardly mobile quartet of Ugochukwu Jay Chikezie, Chinedu Jude Mbanefo, Onyedika Nwokedike and Nneamaka Anyanwu, is new to international travel. 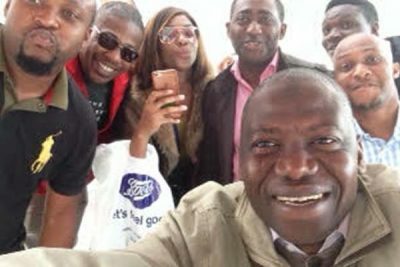 In fact, Ugochukwu (Let’s just call him Ugo) only just recently returned from a trip to the United Kingdom, while the only lady among the pack, Nneamaka (Amaka) relocated to Nigeria from California in the United States, only last year. But this particular all-expense paid trip sponsored by Star is still the stuff of dreams for them. Indeed, Star has pulled out all the stops to give the lucky four a treat. 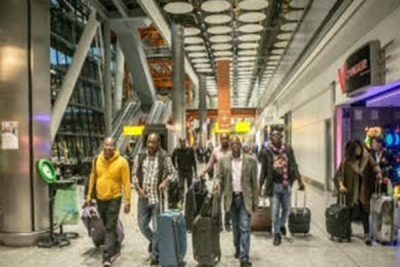 From the Murtala Muhammad airport in Lagos where they were checked in via a fast track, to London Heathrow where they were again ushered in like special guests of the Queen of England, it’s been a royal treatment all the way. Winning one of the four slots wasn’t that straightforward, however. Eight fans were originally shortlisted from among one thousand plus entries, after which Star asked them to campaign and mobilize for votes. The four among the eight with the highest number of votes would win the tickets to London. A furious campaign began! Voting started 10pm on a Sunday night and ended 4pm the following day, Monday. Onyedika (Let’s call him Onye), is a lawyer and works with the UTL Trust Management Services Limited, formerly Union Trustees Limited. He got to work on that Monday, but he couldn’t concentrate! Ugo was the main guy doing the catching up. “I was far behind in the voting on Monday morning so I called all my staff (about 30 of them) and declared a work-free day. I told them the only work they had to do was win me the ticket, so they all stated mobilizing their friends on social media to vote for me.. If I didn’t win, I was going to sack everybody,” he joked. Ugo’s strategy worked perfectly. He finished with the highest number of votes. By contrast, Amaka was helpless as the final hours of voting approached. “I had played my last card and the only thing I could do was hope and pray. My friends in California has gone to sleep and I couldn’t mobilize votes anymore.. What added to my anxiety was that there was a glitch in the system and some of my votes didn’t register initially. But when the system was rectified, my numbers surged. I was just grateful to survive in the end.” She came fourth in the voting and grabbed the last ticket to London. On the first day their trip, the lucky quartet had visited a bunch of tourist sites in London, they rode an open-roof bus like champions on a trophy parade and had a whole capsule to themselves on the London Eye where again they were fast-tracked like the Star guests that they were. PS: Watch out for my next diary on how the Star guests are having the fun of their lives in London. On the menu is a big game in the English Premier League on Saturday. I will be there also to report it for you live here, on www.completeportsnigeria.com. JUST WHEN the good times are returning to Nigerian football, some disgruntled elements appear bent on causing disaffection within the system for their own selfish ends. That was my interpretation of the FAKE NEWS that was circulated in the media on Tuesday, 19 September, 2017 to the effect that Nigeria Football Federation (NFF) sponsors, the oil and gas outfit, Aiteo Group, were allegedly considering a review of the partnership purportedly because they were not deriving the benefits promised by the NFF. The internet and social media have liberalized access to mass media publishing. One of the major downside of this liberalization is the proliferation of unverified content (a.k.a. FAKE NEWS). People just sit in front of their computer or flip out their mobile devices and fabricate “news” which they circulate instantly. Despite this misuse, the internet and social media will continue to be a source of news, either fake or real. The challenge is for professional media practitioners to show greater discretion in differentiating credible news from half truths and outright lies so that they do not mislead their audience or tarnish the image of the people and organizations that they report. The fact that such a sensitive story was attributed to a faceless, “anonymous Aiteo official” should have rang some alarm bells. Let’s hope its another learning curve for all concerned. Aiteo’s sponsorship is one of the best things to happen to Nigerian football in a long time. The company guarantees the salaries of all national team coaches, (one of the most sticky issues in our football) for five years and also sponsors the FA Cup (renamed Aiteo Cup) which had been without a sponsor for several years. Anyone who truly loves Nigerian football should be looking to protect the Aiteo/NFF partnership rather than truncate it. Whoever manufactured that divisive story about a non-existent rift must have a rethink. Contrary to the impression created that Aiteo were not getting good mileage for their sponsorship, a mere observation of the media and public discourse tells a different story. Not many Nigerians (including this writer) had ever heard about the company before they commenced their partnership with the NFF. But now, the name rings a million positive bells whenever its mentioned. 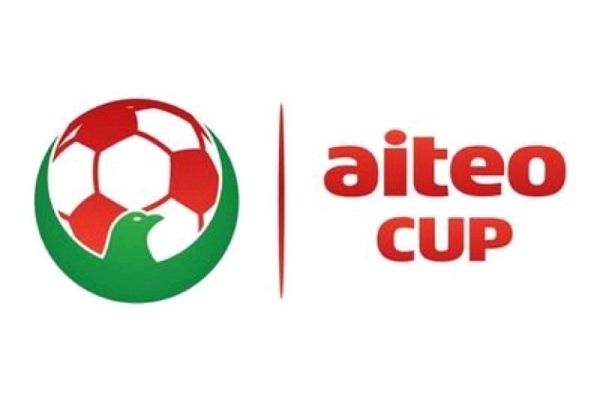 Also, the Nigerian media has been quite cooperative in immediately adopting “Aiteo Cup” as the new name for the FA Cup. I remember that a particular telecoms company was not that lucky with the media when it started sponsoring the domestic football league many years ago. Some radio stations demanded to be paid before they would say the company’s name on air as title sponsors of the league. However, the matter was later resolved. The global practice is that sponsors buying a sports property usually have an activation/publicity budget set aside. In fact, in many cases, sponsors engage marketing communications consultants and even spend more on activation/publicity than they spent on acquiring the property itself because it is from the activation/publicity that they derive their benefits in terms of patronage, public goodwill, top of the mind awareness, etcetra. Whatever it is, Aiteo’s strategy for activation/publicity of its NFF partnership can be enhanced. But even as it is presently, the company has not done badly at all. The public goodwill and awareness for the Aiteo brand is massive. It can only get better. The Super Eagles are on the verge of qualifying for the 2018 FIFA World Cup after annihilating our perennial rivals Cameroon over two legs last month. As I write this, the home-based Super Eagles had also just beaten another of our eternal rivals, Ghana, 2-0 to qualify for the semi-final of the West African Football Union (WAFU) Cup taking place on Ghana’s soil. These type of victories bring a lot of joy to millions of Nigerians and Aiteo can be proud to be a part of those making it happen by paying the national coaches their salaries on schedule. 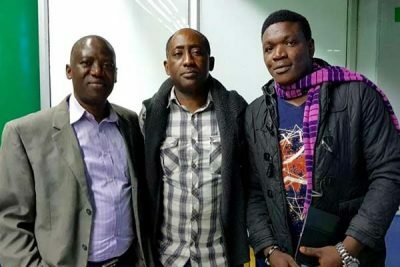 When the Eagles finally wrap up the World Cup ticket and the Aiteo Cup also enters the final stages, the company can only receive more positive vibes from soccer-loving Nigerians. I say thank you Aiteo for shaming the saboteurs and purveyors of fake news with your timely rebuttal. I’m sure that the Nigerian people appreciate your interventionist role in our football. BARELY a month after the Nigerian women national basketball team D’Tigress won the African Championship (Afrobasket) for Women in Bamako, Mali, the men’s team, D’Tigers last weekend also emerged runners-up to co-host country Tunisia in the Afrobasket final for men. Gradually, we’re beginning to cement our place as a force to be reckoned with in African basketball. 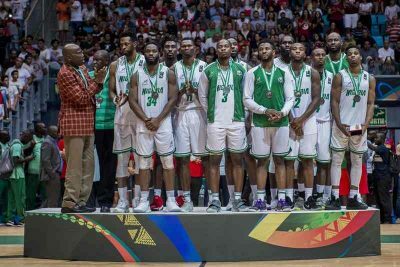 I hope the warring factions in the Nigeria Basketball Federation (NBBF) will sheat their swords and work together to translate these continental achievements to global recognition. Can United Return Nigeria To The Plateau? NO! This article is not about Manchester United of England. It is about Plateau United of Nigeria. 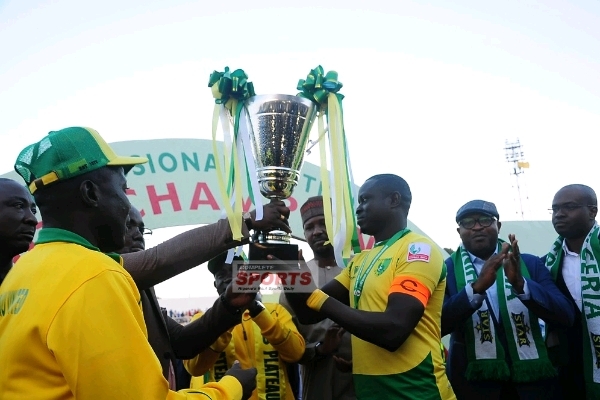 Last Saturday, Plateau United Football Club of Jos emerged champions of the 2017 Nigeria Professional Football League (NPFL) for the first time in their history. The victory didn't come easy as the Tin City boys were chased all the way until the last day of the 38-week marathon by Mountain of Fire and Miracles (MFM) Football Club of Lagos. With just one point separating both teams on the league table going into the last games of the season, a win for MFM in their fixture away to El-Kanemi of Maiduguri and a loss for Plateau at home to Enugu Rangers would have handed the title to the MFM Boys. But in the end, it was Plateau that won 2-0 to throw a jam-packed Rwan Pam stadium in Jos into wild jubilation. MFM, meanwhile, lost 2-1 to El-Kanemi to finally settle for second place. Apart from collecting the highest points total of 66, Plateau also scored the highest number of goals (49), conceded the least (25), had the best goals difference (+24), suffered the fewest losses (10) and were tied with MFM for the greatest number of wins (19). Essentially, they ticked all the statistical columns on the league table in green and were the best team overall. They are indeed worthy champions. 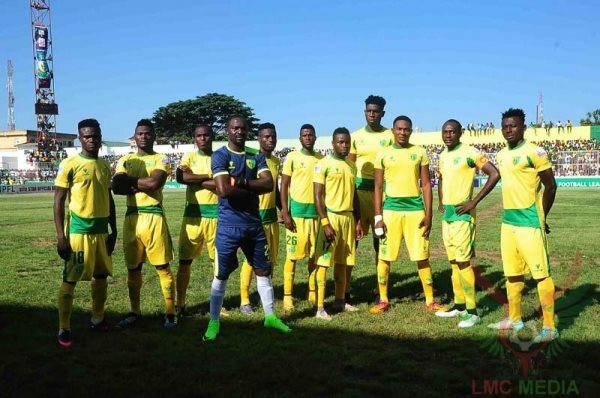 While Plateau coach Kennedy Boboye and his boys have won the right to celebrate a historic triumph, it is pertinent that the club management should start planning immediately for their participation in the CAF Champions League next year.. Nigerian club sides have been languishing miserably at the bottom of the valley of African football since Enyimba of Aba last won the continent's premier club competition in 2003. The big question is whether Plateau United can live up to their name and return Nigeria to the plateau of African club football. Sharing that responsibility with Plateau are second-placed MFM whose story is also remarkable. In 2016, MFM escaped relegation from the NPFL by the skin of their teeth when their goalkeeper saved a penalty kick in the final game of the season. One year later, they were contesting gamely for the title which shows how far they've come in a short time. Coach Fidelis Ilechukwu may sound boastful in his interviews but he has lived up to his promise to turn the club's fortunes around if given the freedom to work. I'm sure that Lagos fans cannot wait to watch continental football again next season, having experienced it last during the glory days of Stationery Stores and Julius Berger. Enyimba, meanwhile, also return to the continent in the second-tier CAF Confederations Cup, after robbing Akwa United of the ticket in the penultimate week of the season. What a close miss for Akwa chairman Paul Bassey. While the top three clubs in the NPFL can look back on a satisfying season, it's a gnashing of teeth for my beloved Shooting Stars (3SC) who find themselves relegated, yet again, alongside Remo Stars, Gombe United and ABS who all are going back down after just one season in the top flight. Before the last games kicked off last Saturday, I made what I confessed was a "biased prediction" on Twitter that 3SC would escape relegation by winning their game away to Niger Tornadoes. I knew that their chances were slim, especially when the players went on strike to protest non-payment of their salaries just days to the crucial game. The strike was later called off but the damage had been done. Nevertheless, I stuck my head out fanatically for them just to show my love for a club that I have supported from childhood. Unsurprisingly, they lost 2-0 in Minna and they will have to play in the Nigeria Nationwide League (NNL) next season. A close look at the final league table reveals a very hard fought contest. 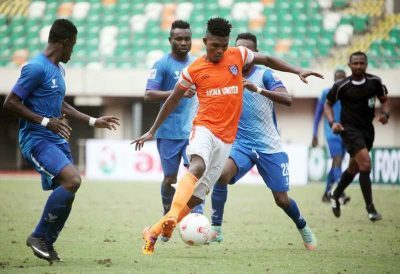 The gap between champions Plateau and fourth placed Akwa United was only six points. Only one point separated MFM (62 points) from Enyimba (61) while Akwa (60) were only a further point adrift. At mid-table, it was a bumper-to-bumper affair as five teams (Lobi Stars, Kano Pillars, FC IfeanyiUbah, Sunshine Stars and Tornadoes) finished on 54 points, three (Abia Warriors, Enugu Rangers and Wikki Tourists) finished on 53 while two (Rivers United and Katsina United) finished on 52. Relegated 3SC had 50 points, which means just one more win could have catapulted them to as high as a 12th place finish on the log. On face value, the close race suggests a League that is vibrant, but insiders and the participants themselves know that there's more to this "vibrancy." The key factor appears to be some crooked referees who continue to manipulate the results of matches in favour of home teams. And because all (or, at least, the majority) of the club sides benefit from this unwholesome act in their home games, the rogue referees simply sit in the middle and rob away clubs in turns. Remo Stars may have finished bottom of the log deservedly, but I hear that their case was worsened by the proprietor's refusal to ask referees for favours during their home games. Not surprisingly, the club suffered the highest number of home defeats in the just concluded season. Thanks to the League Management Committee (LMC) led by Mallam Shehu Dikko, the NPFL has continued to improve in crowd attendance, television coverage (despite a mid-season dispute with DSTV SuperSport), international partnerships and overall brand image. But dubious officiating by corrupt and incompetent referees will continue to rubbish all these gains if something drastic is not done about it. Stakeholders in Nigerian football must call out Nigeria Referees Association (NRA) boss Tade Azeez to answer serious questions about the credibility of his association. The referees don't operate in isolation, however. Club administrators and coaches should stop pretending that they don't know what is going on as the majority of them are complicit. They are the ones giving bribes to the referees to manufacture penalty kicks for them when playing at home, a winning goal is not forthcoming and time is running out. They only cry blue murder when they suffer similar treatment at away games. If the club managers can resolve genuinely among themselves to stamp out the scourge, they can do it. Then, it would be easier to spot the black sheep among them and sanction them accordingly. The expulsion and life ban imposed on Ghanaian referee Joseph Lamptey by FIFA over a match-fixing allegation is still fresh in the news even as I write this. South Africa who were the innocent beneficiaries of Lamptey's manipulation have only recently agreed to replay the 2018 World Cup qualifier against Senegal who had petitioned FIFA in the first place after Lamptey awarded against them a penalty kick that did not exist. That episode must have alerted other rogue referees around the world that their days are numbered. The Nigeria Football Federation (NFF) who appoint referees for the NPFL should take a cue and send out a similarly strong message to the NRA. Tade Azeez and his men (and women) should be told in very clear terms that the NFF is willing to impose life bans on corrupt referees who are intent on sabotaging the football league and this should be inserted in the rule books. Azeez equally should show a commitment to fishing out the bad eggs that are giving the NRA a bad name, and stop exposing referees who do their jobs professionally to our collective condemnation. Enough is enough! DESPITE my explanation last week, I have noticed from feedback that lots of readers still do not understand the minimum requirement for Nigeria to qualify for the 2018 FIFA World Cup finals. Most people are relying on the head-to-head rule to conclude with finality that a draw in our next game against Zambia would be enough to qualify just because we had previously beaten them 2-1 away in Ndola. This is not so. From the above list, the head-to-head tie-breakers are factors 4, 5, 6 and 7 in that order. But these factors can only come into play if factors 1, 2 and 3 fail to separate the teams in contention. Looking at the group table as things stands now, Nigeria is well positioned to qualify either on points, or on goals difference or on number of goals scored, the goals count coming into play in the event that Nigeria somehow finish on the same points total as Zambia. Therefore, it's unlikely (although not impossible) that the group will ever be decided on the head-to-head stats. If Nigeria wins in Uyo as expected on 7 October, they qualify automatically with unassailable 13 points. But should Zambia win or draw the match, then both teams will take the contest to the final match day in November when Nigeria visit Algeria and Zambia host Cameroun. Obviously, I'm tipping the Eagles to end all these discussions with a clear victory over Zambia on 7 October. As we can see, these head-to-head permutations bring a lot of headache!